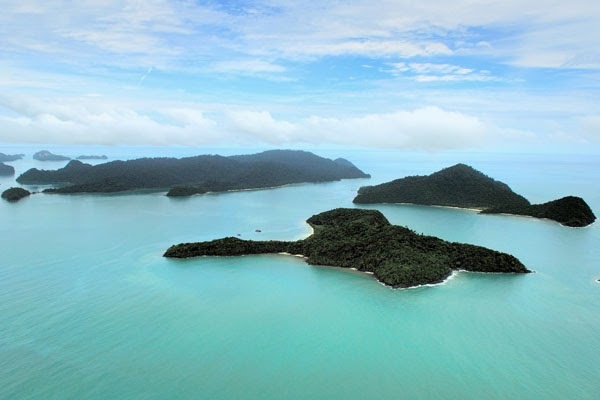 The breathtaking Langkawi Island tops my list of To-visit places in Malaysia. The island is also known as "Jewel of Kedah". It is an archipelago of 104 islands in Andaman Sea. It is known for its rich flora and fauna. Lush greenery and turquoise blue waters, what best place would you ask for, to spend time with loved ones. 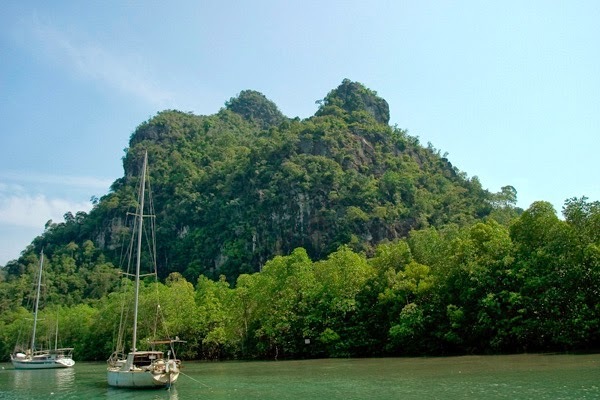 In 2007, UNESCO declared Langkawi as World Geopark. 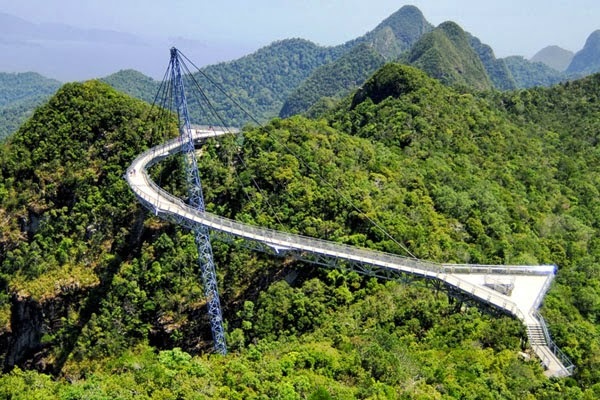 Above 709 metres, Sky bridge which is a hanging bridge offers a breathtaking view of the island. There are cable cars which operate across the island touring the rain forest, in 20 minutes. 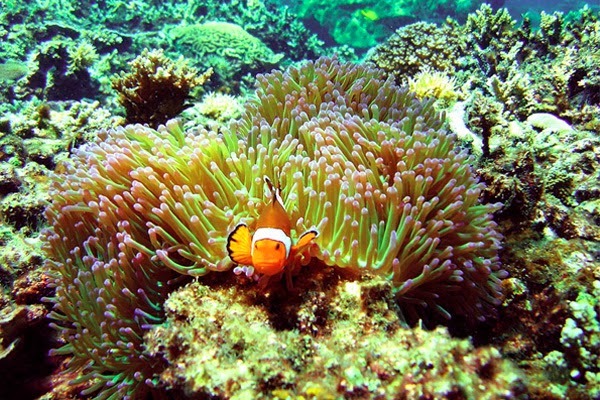 This Marine Park is a group of 5 islands which is spread over 4,929 hectares. Being an adventure lover, I cannot miss the underwater sport. I would definitely snorkel and scuba dive here. 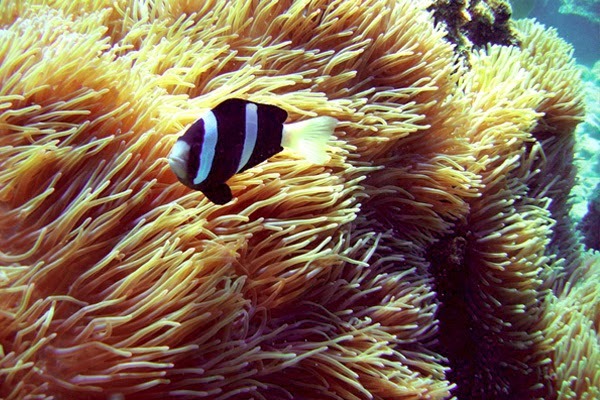 Reach the Corals and click a picture along with the small fishes surrounded. For those who are not adventurous, can relax with their feet into the waters at the beach and bird watch Megapode and Burung Tambun, the rare species found on this park. 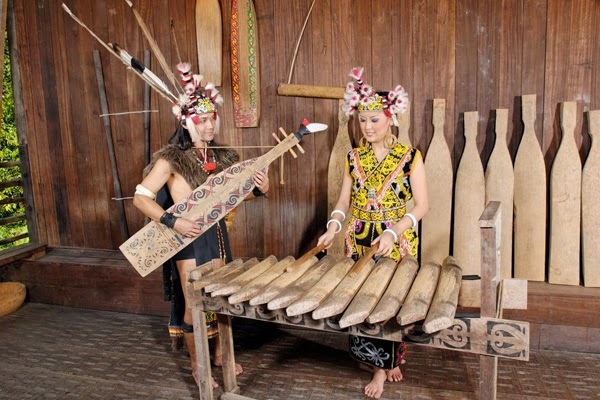 How could I miss to see the culture and local life, being in Malaysia? 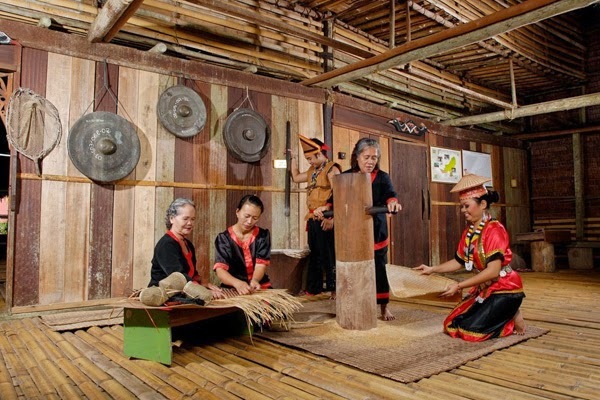 The next visit will be Cultural Village at Sarawak. I wouldn't miss the cultural show watching the men and women clad in the beautiful kebaya and sarong. It is bliss to eyes. I would definitely pose wearing the kebaya. Kebaya is a Malaysian traditional costume worn by women. I would pay visit to the divine Hindu temple of Lord Murugan also called Subramanya, son of Shiva and Parvati. 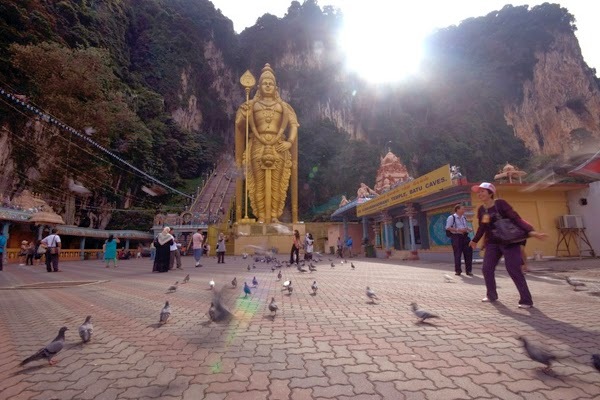 The temple is at Batu caves; which is a limestone hill and series of caves and is 400 million years old. The caves are located 8 miles north of Kuala Lumpur. I was also surprised and impressed to see such huge idol painted golden outside India. There are paintings of Hindu gods on the caves. 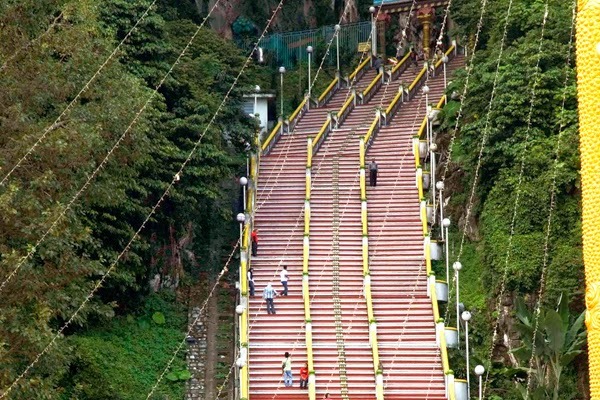 Also, there are 272 steps to be climbed to view the skyline of the city. 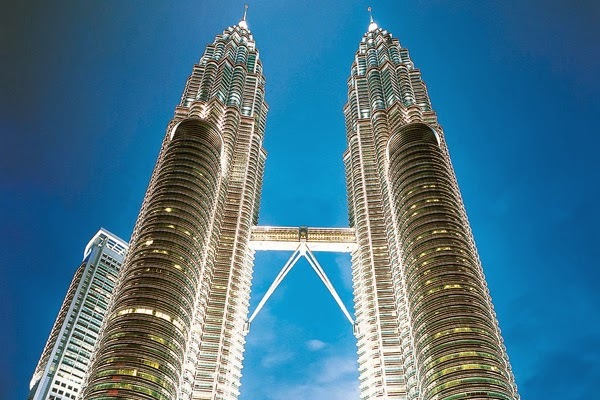 How could one not visit the 88-storeyed twin towers in the heard of Kuala Lumpur? I would definitely visit Petronas during the night, click loads of pictures. The roads, the streets, the building, the parks - everything would appear tiny from the top. Sometimes, you can even spot the islands nearby. It's a long queue to be on Petronas but definitely worth the wait. I would try the Malaysian cuisines to my heart and buy souvenirs as a memoir. Though, limiting to 5 places to see in Malaysia is too hard where you've 50 things to do! Next 5 places to visit in Malaysia coming up soon. Meanwhile, do watch this lovely video, "Malaysia, Truly Asia". All in all, the country has a lot to offer for those who are love nature watch or adventurous or those who love food, culture and shopping. Loved the idea of you trying out the Kebaya... my wife and I love doing such things as it brings us closer to the heartbeat of the area. Nice post. Yes, Malaysia is indeed an exciting country and your pictures and text agree with this notion. Nice post.